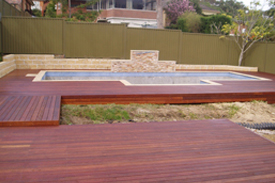 Installation Video for 137mm ModWood Natural Grain Collection Decking into KlevaKlip's Snap-LOC Clip. 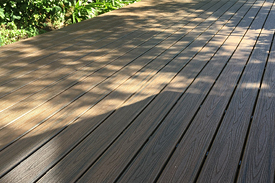 Installation Video for 88mm ModWood Natural Grain Collection Decking into KlevaKlip's Snap-LOC Clip. 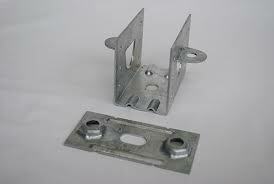 This attachment will assist you in calculating the amount of materials required to install your ModWood decking including KlevaKlips, Adhesive quanties & Fasteners. Please allow for wastage and use this as a guide. Note: When laying ModWood brushed side down, best practise is to clean the area to be adhered with white spirits approximately 10 minutes before adhesive is applied. Please ensure all the KlevaKlip's are clean, sound, dry and free of oil or grease. Thoroughly remove all loose particles and dust prior to fixing. 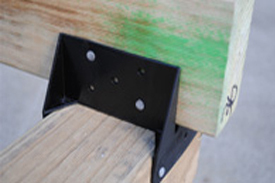 The KlevaKlip Top-fix clip is designed to suit Timber and metal joists RHS 35- 50mm or larger in width. Whilst the fixing of the boards into the KlevaKlip is fast and will save time over conventional hand fixing, it is important that extreme care is taken in installing your first row of KlevaKlip's. 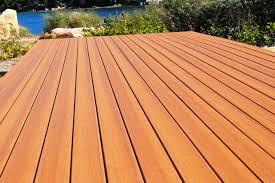 This will govern the straightness of your deck.